Chicago house compilations that flooded the market 15-20 years ago mostly featured the usual suspects like Joe Smooth, Adonis, Farley Jackmaster Funk, with the tracks that had attracted masses at warehouse parties. And there was also a not so famous act called Virgo … Even can’t remember if it was on a CD compilation found in a supermarket bargain bin in Marburg, but the first track I associated with Virgo was definitely “Do You Know Who You Are?”. Later it turned out that many people didn’t know who the Virgo really were, because a project of Marshall Jefferson, Adonis and Vince Lawrence used the same name. 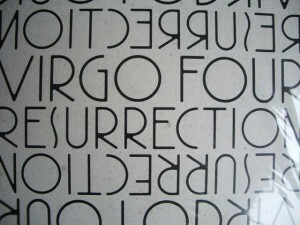 The genuine ones were Virgo Four – Eric Lewis and Merwyn Sanders – who now wiped off the dust from their historical creations to deliver a retrospective of lost tracks titled “Resurrection”. I didn’t feel immediate urge to get this weighty and costly package. The question was if there is anything left to explore in fully charted territories of Chicago house. But the old tracks turned out very new and fresh-sounding; little wonders have been made in remastering to extract the best from dusty reel-to-reel tapes. That all resulted in a couple of hours of well-spent time without getting annoyed. The collection covers all directions of the Chicago sound and works as a representative peek into different faces of the Windy City house development. Pure analogue jams dating back to 1984 with the newest pieces done in 1990. 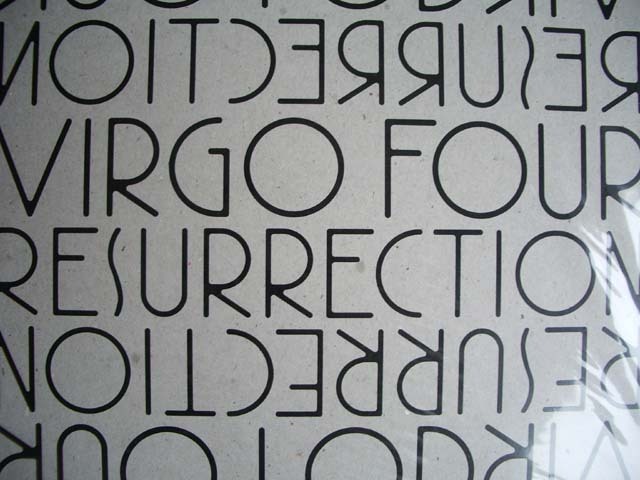 Trademark roughness of Chi-town productions is present across the album, but to treat the crowd in full, Virgo Four command their gear for variations across the (sub-)genres. While “It’s Hot” is a smooth house piece and “Silence” works as a warehouse classic, the tracks like “PH 25”, “Let’s Go” and especially “Knightro” are serious acid jackers. “Look Into Your Eyes” sounds like being under the influence of italo, “If You Want To Dance” might have inspired later Moodymann and beautiful house tune “Lost Inside You” sounds just very Virgo Four. Should I state the obvious truth this is an essential release?